Dental decay and tooth fracture problems lead to bone loss about the teeth that are failing. If you have a failing tooth and leave it alone the bone loss often extends onto the adjacent teeth, which worsens the situation. 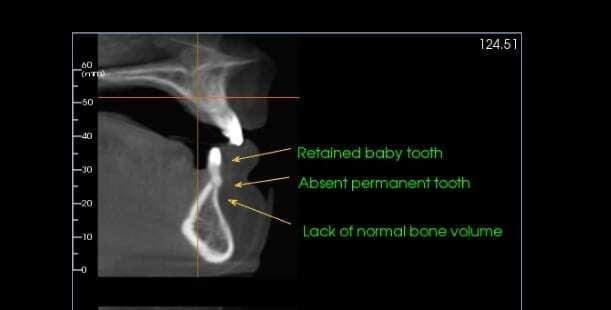 This is why you want to promptly remove a failing tooth following your dentists recommendation for extraction so that the bone loss does not extend to your adjacent teeth. Periodontal diseases are ongoing infections of the gums that gradually destroy the support of your natural teeth. Periodontal disease affects one or more of the periodontal tissues: alveolar bone, periodontal ligament, cementum, or gingiva. While there are many diseases that affect the tooth-supporting structures, plaque-induced inflammatory lesions make up the majority of periodontal issues and are divided into two categories: gingivitis and periodontitis. While gingivitis, the less serious of the diseases, may never progress into periodontitis, it always precedes periodontitis. Dental plaque is the primary cause of gingivitis in genetically-susceptible individuals. Plaque is a sticky colorless film, composed primarily of food particles and various types of bacteria, that adheres to your teeth at and below the gum line. Plaque constantly forms on your teeth, even minutes after cleaning. Bacteria found in plaque produces toxins, or poisons, that irritate the gums. Gums may become inflamed, red, swollen, and bleed easily. If this irritation is prolonged, the gums will separate from the teeth causing pockets (spaces) to form. If daily brushing and flossing is neglected, plaque can harden into a rough, porous substance known as calculus (or tartar). This can occur both above and below the gum line. Periodontitis is affected by bacteria that adhere to the tooth’s surface, along with an overly aggressive immune response to these bacteria. If gingivitis progresses into periodontitis, the supporting gum tissue and bone that hold teeth in place deteriorates. The progressive loss of this bone, the alveolar, can lead to the loosening and subsequent loss of teeth. When teeth need to be extracted due to periodontal disease there is often advanced bone loss. If these teeth are simply extracted this bone loss worsens. When an adult tooth is removed and not replaced with a dental implant further bone loss will occur. 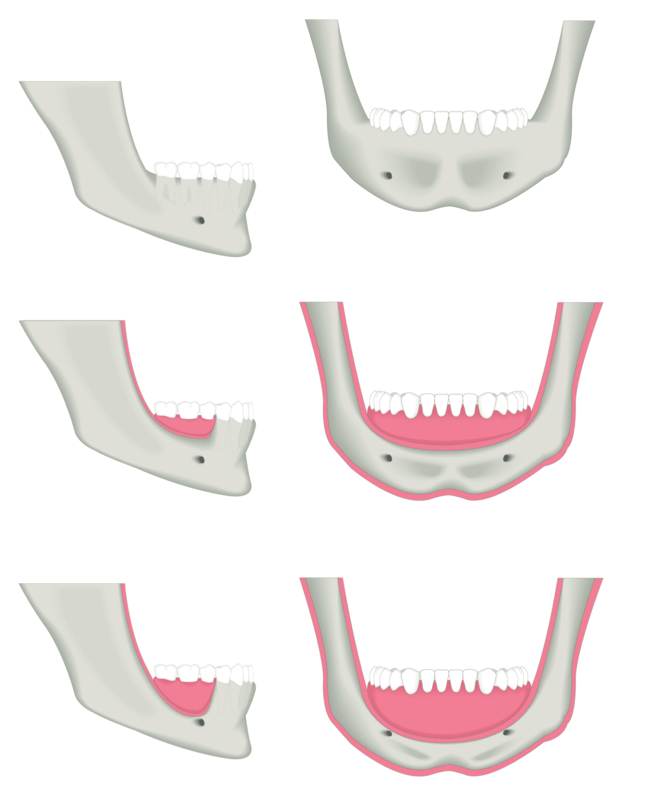 This progressive bone loss occurs when a tooth is extracted and a traditional dental bridge is placed. Natural teeth are embedded in the jaw bone and stimulate the jaw bone through activities such as chewing and biting. This stimulation maintains the volume of bone in the area. When teeth are missing, the alveolar bone, or the portion of the jaw bone that anchors the teeth in the mouth, no longer receives the necessary stimulation and begins to break down, or resorb. The body no longer uses or “needs” the jaw bone, so it deteriorates and goes away. The rate that the bone deteriorates, as well as the amount of bone loss that occurs, varies greatly among individuals. However, most loss occurs within the first eighteen months following the extraction and will continue gradually throughout your life. Dental implants used to replace a missing tooth stimulate the bone about the implant maintaining the bone just like the natural tooth does. 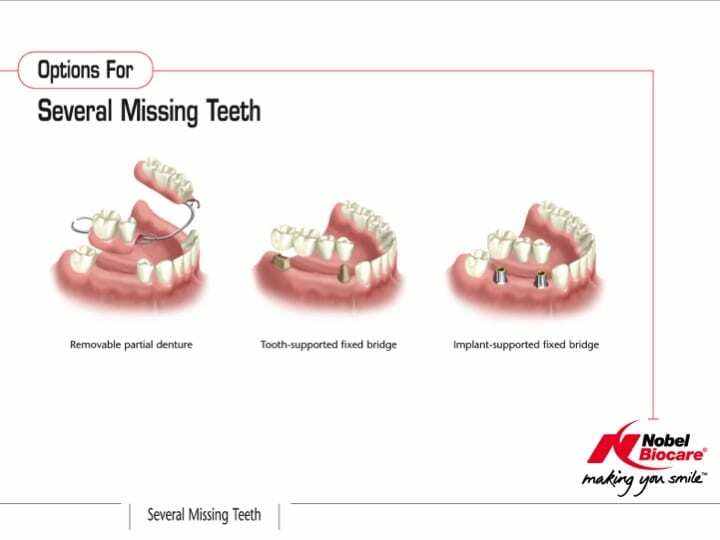 This is why dental implants are the preferred replacement for missing teeth as compared with a traditional dental bridge restoration. However there are still some cases where a dental bridge may be the best option. Drs. Blecha and Jandali does not simply suggest dental implants for every patient and situation. Each case needs to be examined individually. Unanchored dentures are placed on top of the gum line, but they do not provide any direct stimulation to the underlying alveolar bone. Over time the lack of stimulation causes the bone to resorb and deteriorate. Because this type of denture relies on the bone to hold them in place, people often experience loosening of their dentures and problems eating and speaking. Eventually, bone loss may become so severe that dentures cannot be held in place with strong adhesives, and a new set of dentures may be required. Proper denture care, repair, and refitting are essential to maintaining oral health. Some dentures are supported by anchors, which do help adequately stimulate, and therefore preserve bone. With bridgework, the teeth on either side of the appliance provide sufficient stimulation to the bone, but the portion of the bridge that spans the gap where the teeth are missing receives no direct stimulation. Bone loss can occur in this area. By completing a bone graft procedure subsequent implant replacement, this bone loss can then be halted and a long term stable solution is obtained. 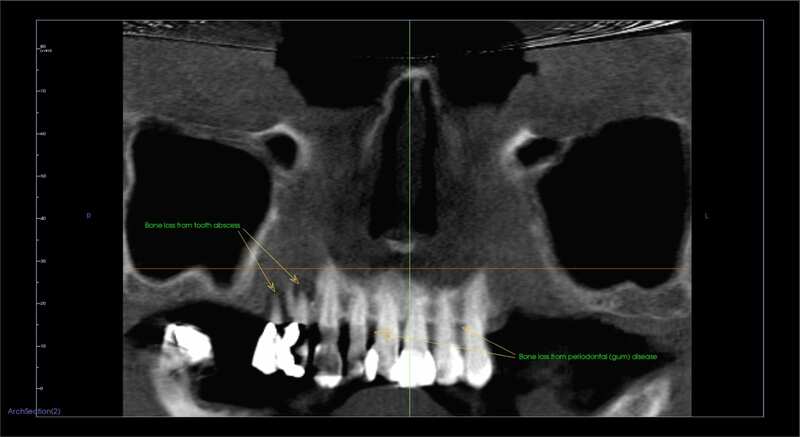 Progressive bone loss with loss of posterior teeth or with loss of all teeth over time. When a tooth is knocked out or broken to the extent that no biting surface is left below the gum line, bone stimulation stops, which results in bone loss in the jaw. Some common forms of tooth and jaw trauma include: teeth knocked out from injury or accident, jaw fractures, or teeth with a history of trauma that may die and lead to bone loss years after the initial trauma. A bone grafting procedure would be necessary to reverse the effects of bone deterioration, restoring function and promoting new bone growth in traumatized areas. Osteomyelitis is a type of bacterial infection in the bone and bone marrow of the jaw. This infection leads to inflammation, which can cause a reduction of blood supply to the bone. Treatment for osteomyelitis generally requires antibiotics and the removal of the affected bone. Severe bone loss can develop in severe infections of the bone without osteomyelitis. A bone graft procedure may be required to restore bone function and growth lost during removal, and hopefully allow for dental implant tooth replacement. Congenital absence of teeth is common. These patients often less than normal bone volume for dental implants. Some conditions or syndromes are characterized by missing portions of the teeth, facial bones, jaw or skull. These patients also present with significant bone defects which require bone grafting. The good news is that most of these defects can be repaired with contemporary bone graft procedures. When molars are removed from the upper jaw, air pressure from the air cavity in the maxilla (maxillary sinus) causes resorption of the bone that formerly helped keep the teeth in place. As a result, the sinuses become enlarged, a condition called hyperpneumatized sinus. This condition usually develops over several years and often result in insufficient bone that can be reconstructed with contemporary bone graft procedures such as a sinus floor bone graft.